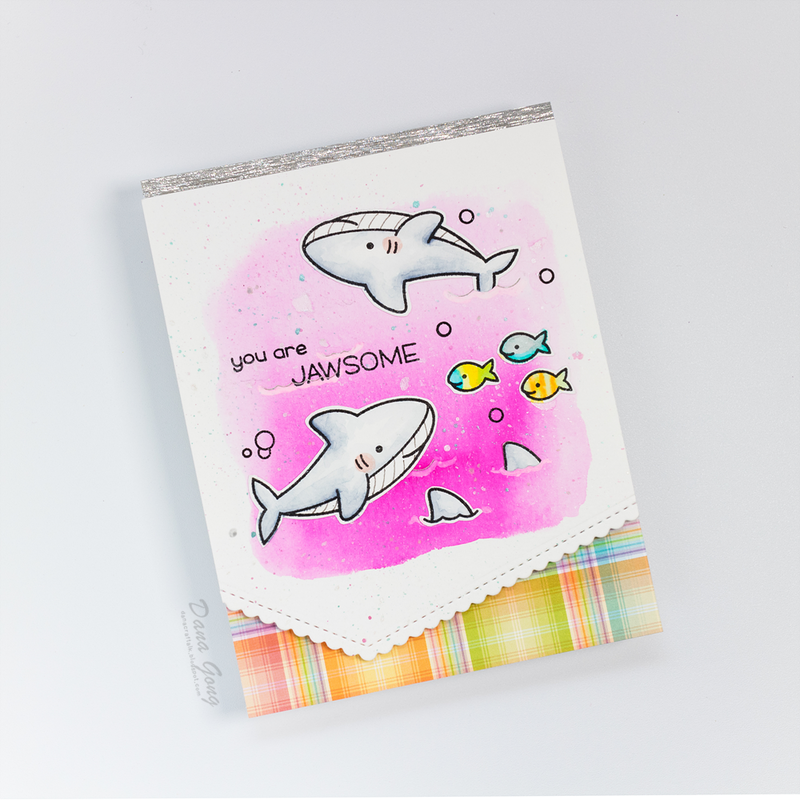 Today, I'd like to share watercolor card with you. It's my take on Lawn Fawnatics Challenge 7 - Watercolor. I watercolored pink background with Peerless watercolors and critters with Zig clean color real brush markers. I then splattered metallic accents with water from Prima Marketing using watercolor paint brush. On the top of card, I added silver metallic masking tape. 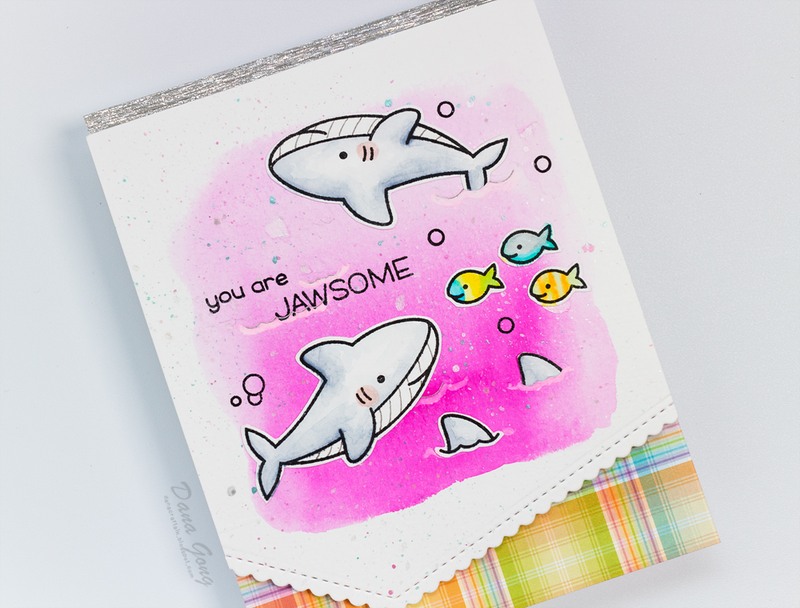 Wow, this card is adorable, Dana! I love the pretty pink backdrop and the colorful critters! Thanks for sharing with us at Lawn Fawnatics! Thank you so much for your encouraging comment, Nancy! Adorable card! Love those sweet images and sentiment! Wonderful coloring too! Thank you so much, Melissa!